With FEST approaching on the not-so-distant horizon, we will be showcasing a different musician for each Friday leading up to FEST so that you can check out artists that you may not have heard of yet. Who knows, you may discover your new favorite artist! What is FEST, you ask? FEST is simply the best three days of the year, every year (make it five days if you include pre FEST). 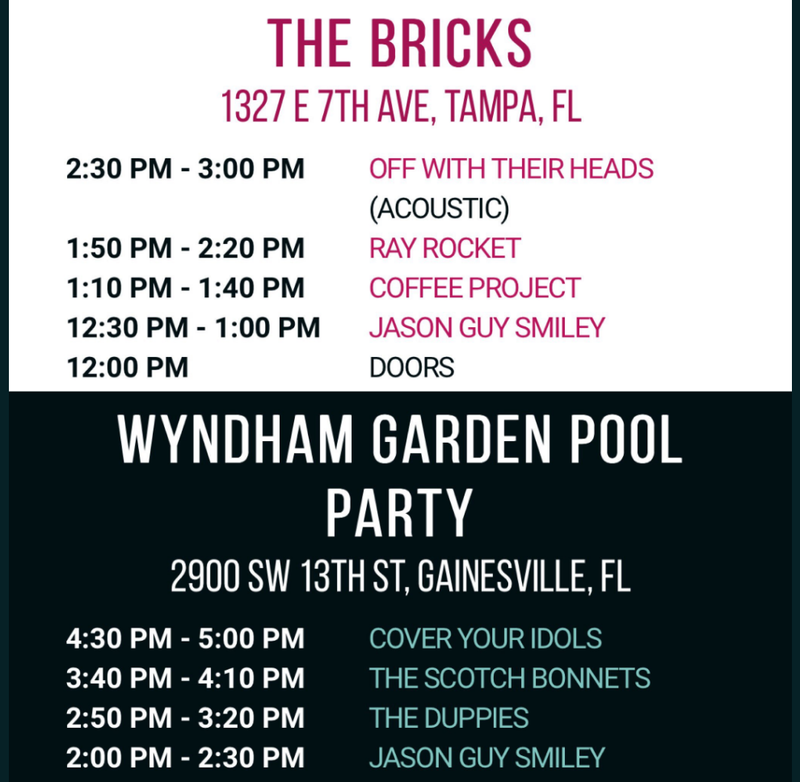 Taking place this year on October 25 - 29, FEST begins in Ybor City, FL with two days of bands cranking out jams at Pre-FEST on Wednesday and Thursday. 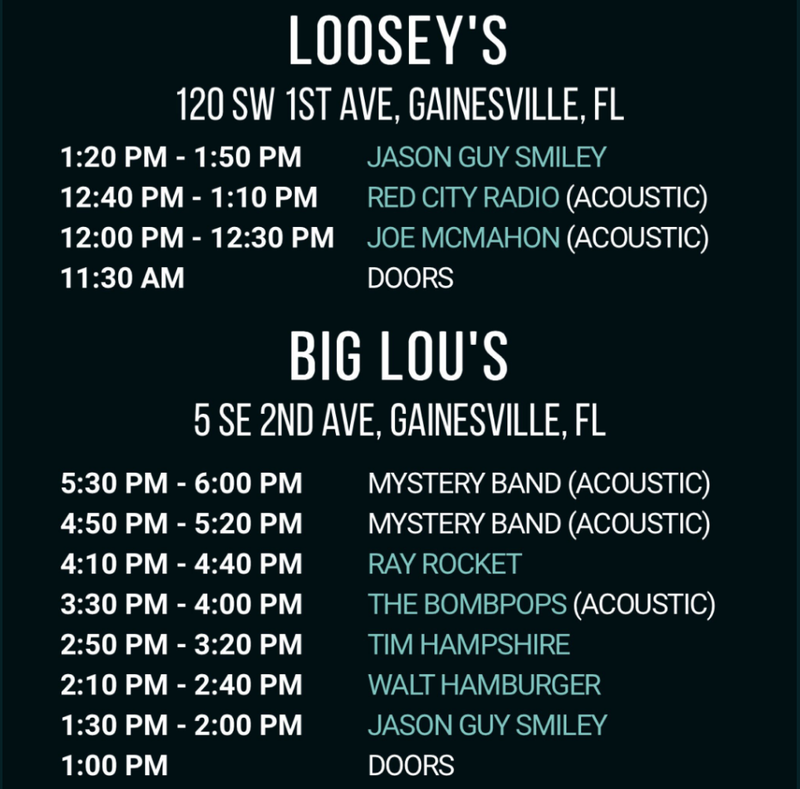 Pre-FEST is essentially an intro to FEST, and a scaled down version for people who may not be able to make it to Gainesville for the Friday, Saturday, and Sunday shows. For the people who attend both pre-FEST and FEST, it is the start of an amazing five days that can be best described as absolute perfection. Starting on Friday and ending Sunday night, FEST takes place in Gainesville. With FEST being in it's 16th year, there are bound to be new and old faces present, with friendships being made and old friends reuniting from all over the world. With 18 venues all within walking distance of each other, FEST has something to offer for everyone. You can view the full lineup here. This weeks Featured FEST artist is Jason Guy Smiley, a musician whose live shows can transform into a fun sing-along party. Jason Guy Smiley is performing three sets between Pre-FEST and actual FEST, so you'll have multiple opportunities to catch him live! Each of Jason's songs invite you into his life's experiences with vivid imagery and raw lyrics., such as "I see you like a flower in bloom / But I love you down to your roots / So when come the day that all your colors fade / I'm staying right here with you" in his 2016 release, No Problem, Man's opening track "Late Summer Florida Sunset". While personal, Jason's lyrics are relatable to many, if not all. 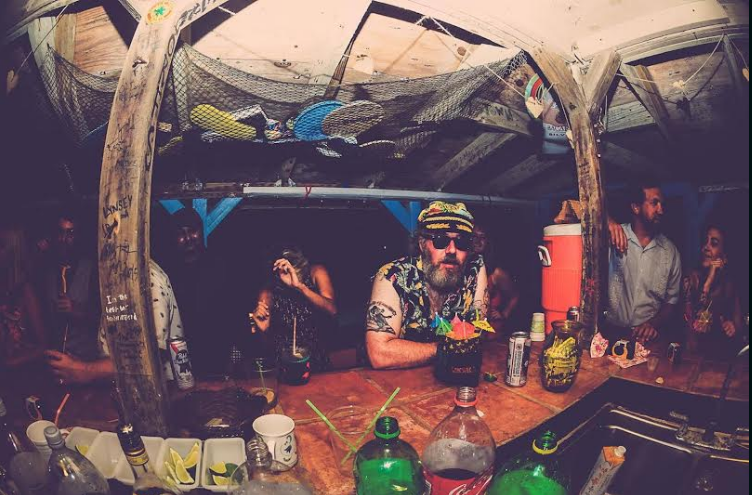 It's quite easy to imagine a group sing along complete with raised pineapple drinks and PBR cans-- what more can you ask for? The majority of Jason's songs have a laid back and personable vibe, with just an acoustic guitar accompanying his strong voice that easily allows his emotions to shine through depending on the lyrical content. His 2017 release "The Amateur Engine" takes a more serious approach to the passing of a dear friend-- "You always wore a smile / Like the world was golden / And you lifted up all of your friends / Just as high as you could hold em" which you can listen to right here. The Blue Eagle, released in 2014, features a full band with a similar lyrical style. If you're down for drinking out of fruit, singing along to songs with new and old friends, and discovering new music, don't sleep on Jason's FEST sets. 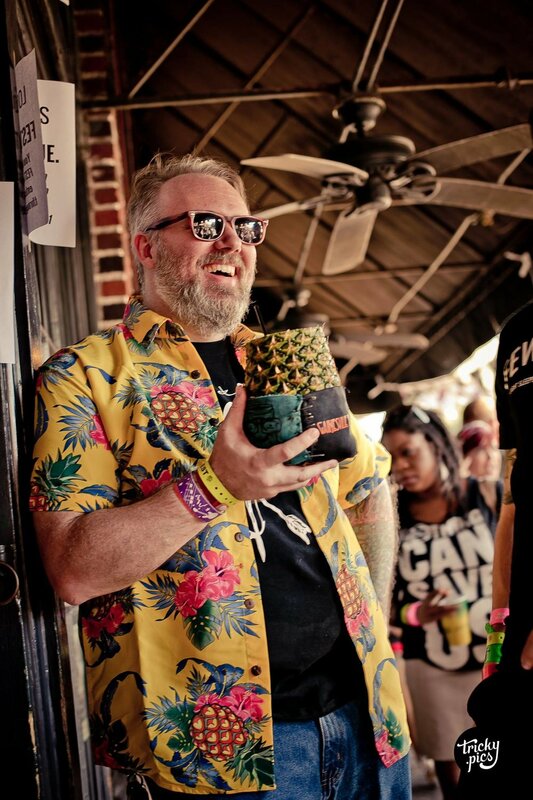 Jason Guy Smiley shared his personal favorite FEST memories, tips for new attendees, and more with us-- check it out below! A: I bet you'll get the same answer from everyone who answers this. It's the community of folks who have come to FEST for years. It's something akin to an incredibly dysfunctional family reunion, but with the best soundtrack and the most drunken uncles you've ever seen. Q: What pro-tip do you have for first time FEST-ers? A: I know this is probably going to be the least heeded advice ever, but consider taking a day off from drinking, or two if you're Pre-FESTing, because losing your voice from dehydration and screaming along is very real. Also giving your body a break allows your immune system to better fight off all the exotic germs you'll be encountering with attendees coming in from all over the world. Also if this is your first FEST that you're playing, and especially if your set is on Sunday, take this seriously. Nothing is worse than playing to a big crowd and realizing your voice is trashed. Q: What's your favorite FEST memory? A: My first FEST, FEST 12, I was at the Captain, We're Sinking set at Rockeys and I had asked Bob to play "A Bitter Divorce" for me and he nodded that he would. So the song comes on and during the ending people were running up to sing along with the background vocals. The crowd was insane and the mic was getting knocked around too much so Bob just pointed to me and pointed at the mic. It was unreal to be singing my favorite song with my favorite band. I went home, started recording an album, and have played every FEST since. A: As long as you're open to making friends, that will be the absolute least of your problems. Also, I'm playing all 3 days of FEST, so come out to one of my sets and I can introduce you to some amazing people who will guide you around all weekend if you need some pals. A: They're certainly some of the best. I have had FEST folks show up to tour dates around the world. I've been put up on couches and spare rooms in places further away from home than I ever thought I'd get by people who only knew me from the FEST, so I can't really say enough good things about the friends I've made.